Pesach, a word that often brings tears to Jewish households everywhere. Not only tears for the story of Pesach but also tears at the thought of all that needs to be done. I know we are still two months away but Pesach is an expensive endeavour to do properly and for those starting out it can be quite daunting. Starting early can reduce the stress a lot. During the year I build my Pesach fund by using WUHU deals and SNAPnSAVE as much as possible. 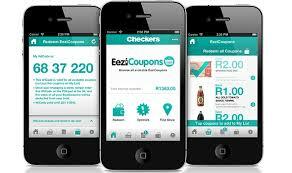 Usually by the time Pesach comes around I have a few hundred rand saved and shopping vouchers from my points on WUHU. I am one of those lucky people who have a separate kitchen, so when I see something on special that I will be able to use during Pesach I buy it and put it away. Please check with your Rabbi for items that may be used during Pesach without the hechsher. I have a little gas stove for Pesach so as soon as the week is over I fill it up. It is one less thing to worry about for the next year. I am also able to store my spices in the small freezer to use again, without needing to buy more. Last year a lot of supermarkets put the previous years stock on sale for amazing prices and I stocked up. I am watching carefully for this year. One of the ways is to buy early and store is to use a trommel (trunk) that can be used to store your purchases. Air tight containers to keep spices fresh in your normal freezer are a good idea if you have the space. I always have a list at the end of each Pesach of things I would like for the next one. The wish list doesn’t always get fulfilled but I sometimes manage to get one or two items. One day I would like to go on one of those Pesach retreats where I wouldn’t have to worry about, cleaning or preparing for the Seder’s. After 25 years of hosting Seders though I am not sure I would know what to do with myself! Are you ready for Pesach 5779?